Welcome to Humans of TechAdvance! 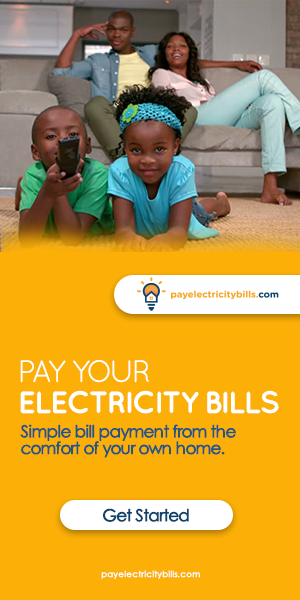 What is the Best Way to Pay for Electricity Bills in Nigeria? Through this feature, we catch up with TechAdvance team members to learn a bit more about our respective work, what excites us about it and being a part of the company. Look out for some great responses to the random quizzing! When did you start working at TechAdvance? My role is business analysis-the middleman between our product development team and our current and future customers. My job is to ensure there is a profitable fit between what our customers need and what our development team creates. You can consider my role to be monetizing our value. The daily opportunities I get to create. My job is not routine and there are always many unknowns. At the risk of sounding clichéd, I get to be part of a team that creates solutions. What is your Favourite quote or mantra which applies to work? TechAdvance’s culture is tolerant and accommodates various individual peculiarities. I think I find that most interesting about it. When you are not working, what do you love doing ? At the moment Netflixing is competing with my reading habit. Depending on which wins, outside work I would be doing either of the two. Do you remember your first day or week at work here? Please give a brief description of your observations. What is your favourite memory or event at TechAdvance so far? It was one of those deal closing moments when you realize months of work was worth it. Do you have any super powers? Absolutely! I can run very fast and far away from dogs. TechAdvance is a payment application development company with a strategic focus in developing and deploying niche payment companies to serve the needs of large public and private sector organisations in Nigeria. Talking about the future of Technology, let’s take a look at how much interest younger generations have taken in it either for career advancement, everyday use or problem-solving. Today’s younger generations have not known a world without the Internet, smartphones, Facebook, Twitter, YouTube, WhatsApp, Instagram, Snapchat and other social media networks. Social media is not at all negative as believed by some school of thoughts and the younger generations are the avid, most active users of these platforms. Technology, in general, has some very life changing positive impacts on lives but that’s a choice you would have to consciously make. Technology has its positive effects on younger generations if used in the right way because it is a very useful tool for career advancement and the most affordable way of learning. With technology, you are free to learn whatever you want to learn whether it is a new skill in any area or you want to impact your own knowledge. You can do all that using technology and so much more. 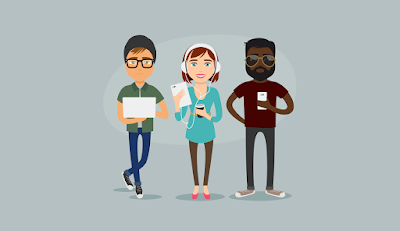 The smart younger ones would use technology to advance their careers by reading blog posts, watching YouTube videos, subscribing to email newsletters, signing up for free online courses all to learn new skills which would put them ahead of their mates in the labour market. Technology also helps when searching for jobs because apart from online job sites, there are Twitter handles that connect directly to companies on LinkedIn when they post jobs vacancies. YouTube is a vast wealth of knowledge and a useful tool for career advancement and even personal skill development. Best part? It’s free. With Technology, online courses sites like Lynda, Udemy and so on can now help you attain a higher level in your existing profession by tutoring on the next level of skillset required to take your career to the next level. You can now sign up, learn and attain professional certifications which can help you achieve your dream job or increase your professional level and career. 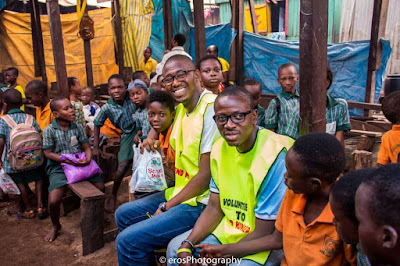 Even on the Job or in school, technology is still saving lives by enabling them to conduct research on topics whether it's for work or a client or maybe it’s a school assignment. Technology is extremely useful for day to day use because of how fast messages gets across from sender to receiver and vice versa. Groups can be created on various social media platforms to enables the instant flow of new information to all participants of that group. Lecturers can communicate with their students via emails, they can also submit assignments, tests, project works via emails and this prepares the student for professional working life. 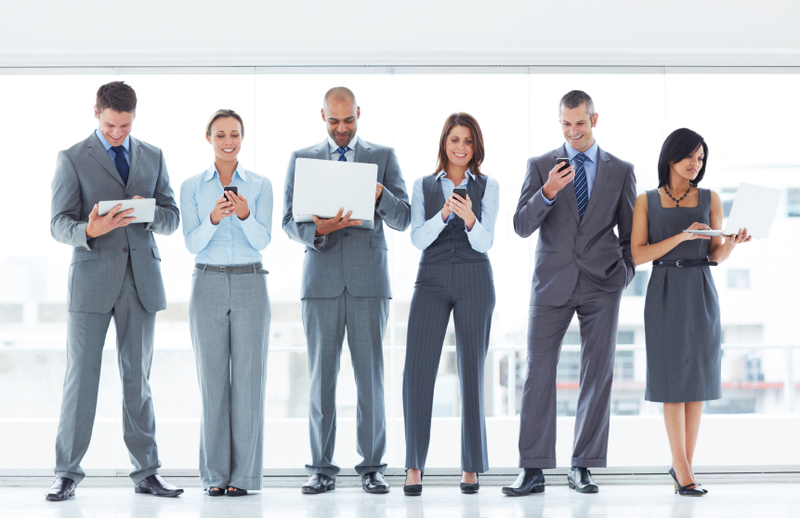 Communication all around the office can be done through emails, project management tools or a communication software where everyone in the company is connected to that platform and you can get across to anyone when you need them during office hours. Technology, Internet, smartphones and social media are super easy in some countries with parents giving their children smartphones at early ages. 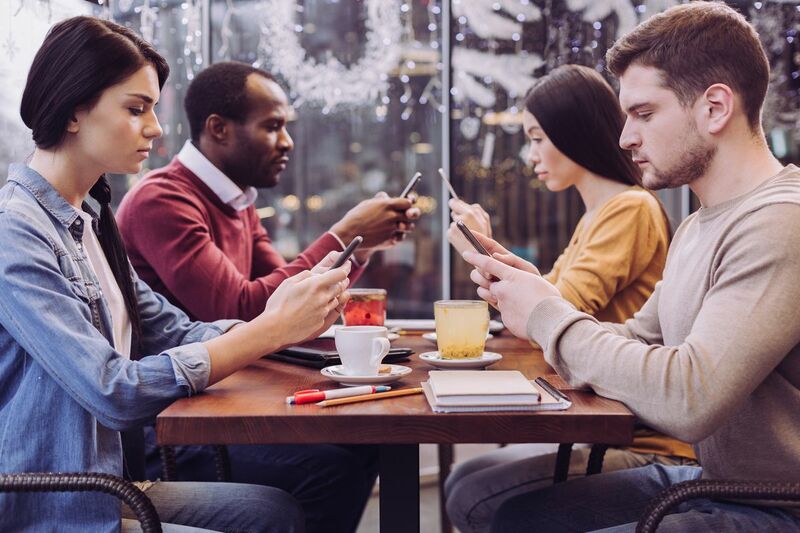 Unlike older generations, younger people are quicker to learn technologically related stuff like the use of smartphones, Internet and social media because they were exposed to it when they were much younger. Everyone has that thing we are addicted to and to younger generations, it is social media, the Internet and smartphones. You can see them texting on the street, in public transportation and some, even while driving. The use of the Internet and different social media platforms enable users to shape who they want to be. Some may choose to be someone else on their social media profiles while others may keep it real but having that choice alone is very interesting. What has changed in comparison to previous generations? Early exposure and the Internet. 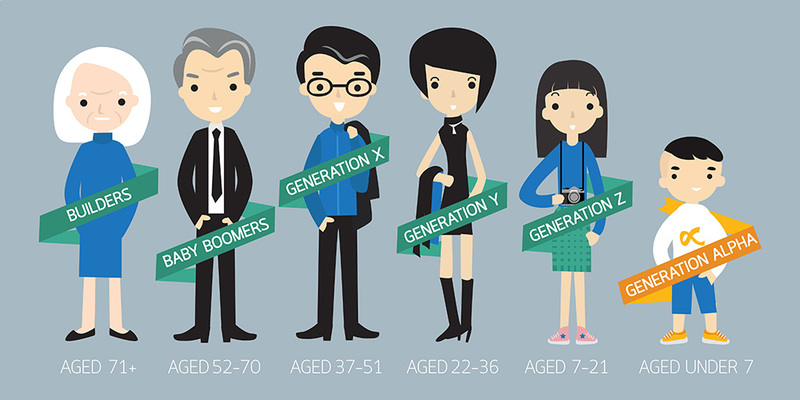 Younger generations have been exposed to Technology at a much younger age than their parents or grandparents and this has created room for a faster learning curve and adoption rate. The Internet has supercharged everything technological because everything is now available in technological forms, which mostly require Internet access may be for cloud storage or daily operations or even both. 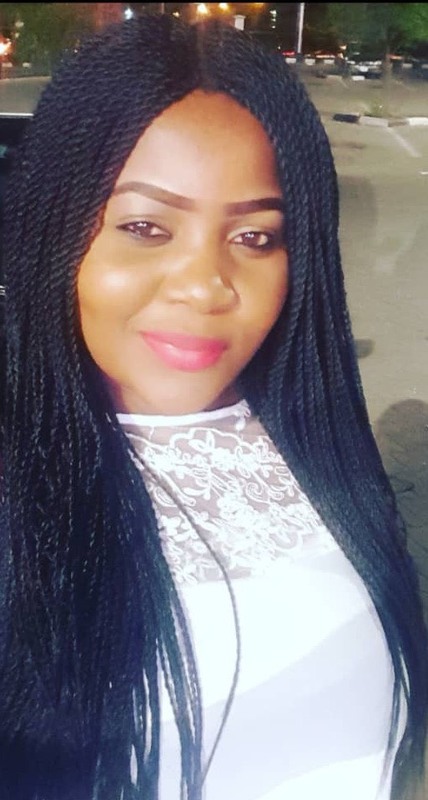 Meet Stephanie Ofoedu, from our Finance department. She is involved in the day-to-day operations as an analyst and works closely with a great team to ensure our short and long -term strategies are both realistic and financially viable. Stephanie joined the company during her Youth Service year and is now a full-fledged TechAdvancer. She shares her views on work in the real world and what she enjoys about exploring it here. When did you join TechAdvance? I joined TechAdvance in May 2nd 2017 during my Youth Service year. I love the scope and dynamics of my job. It fits in well with my personality. There is room to explore and grow. Financial analysts are considered valued business partners and key decision makers. Companies rely on their recommendations to help execute strategy. What is your favourite mantra when it comes to work? “A dream doesn't become reality through, magic, it takes sweat, determination and hard work”. Describe the culture at TechAdvance in your opinion. The culture here isn’t rigid which allows us to be innovative and creative. When you are not working, what do you love doing? Do you remember your first day here? What were your observations? My first day at work was really nice; everyone was accommodating, and ready to help out. I liked the cooperation, energy and vibe of the company. What is your favourite memory here so far? It is a Team bonding barbecue that was sponsored by the CTO. It was a good opportunity to get to know our colleagues and understand their respective work better. Do you have any superpowers? My supernatural power is Beauty and Brains. Building applications forms the bedrock of our work at TechAdvance. The systems Engineering department is at the forefront of innovation, tests and our products in this regard. Meet Kazeem Noibi- our Lead, Systems Engineer and let’s find out what makes him tick. 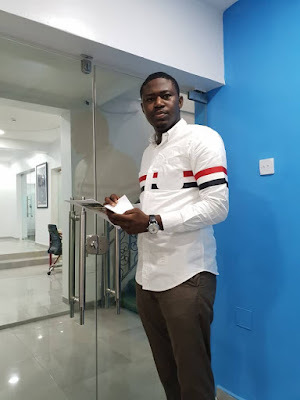 I am the Lead, Systems Engineer at TechAdvance. In the Systems Engineering department, we build all the web-based applications at TechAdvance. 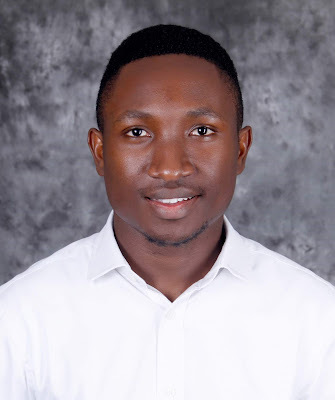 I love the ability to freely innovate, collaborate and mentor young developers while delivering world-class high-end products that actually solve real problems. What is your Favourite quote or mantra, which applies to work? My favourite quote is: "Use what works for you and don’t condemn what works for others". Describe the culture at TechAdvance (in your opinion). TechAdvance is a fantastic work environment where any SERIOUS individual can have a progressive career. As a developer in TechAdvance, the environment allows us to build up interesting portfolios that solve real-world problems. Here, there are no barriers; there is free access to ANYBODY. When I am not working, I am listening to Music (I am a huge fan of Fuji Music (Barrister, Saheed Osupa, Kollington)), I mentor young developers to build careers in technology and I am also active in the religious circle where we do some volunteering in community-driven activities. Do you remember your first day or week at work here? Give a brief description of your observations. Coming from a previous work experience as a Remote developer for a foreign company, settling down was not that easy. 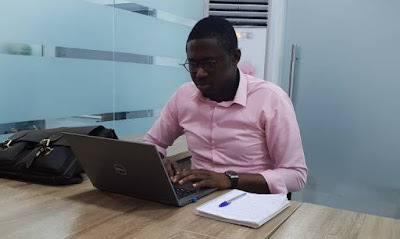 On my resumption, I was tasked with stabilizing the technology side of a project that was staggering at that time and with my efforts coupled with that of my colleagues, it was easily achieved. We can confidently say that the product is stable right now. My favourite memory is our code camp last December. We had gone for the Christmas holidays and about 3 days into the holidays, I received a call came from our CTO that we needed to report to work to build a new product. We had to resume in a camp (a very conducive place for that matter), and in 8 days (Yes, Eight Days!) the product was ready. It was a fantastic experience for us, and the memory lingers till date. The compliance and procurement team at TechAdvance exists to ensure that all necessary conditions and purchases that ought to be met concerning the smooth operation of its products; platforms and services are duly sourced, processed and delivered efficiently. 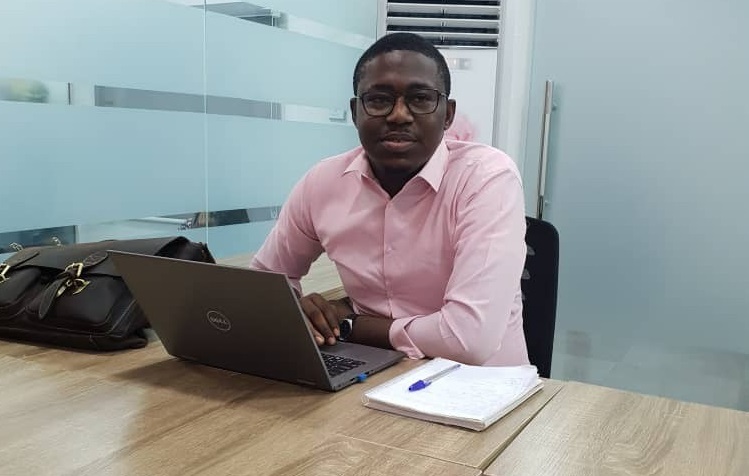 Meet Eghosa Ewone, who helps drive this department. He shares views on love for his work, humanitarian activity outside the office and how he makes all parts come together. I am the Lead, Procurement and Regulatory Compliance. What work does your department do? The procurement team manages order cycle and closure, supplies and acquisitions of various equipment and materials needed while the compliance team plays the role of ensuring the company is in total conformity with all laws, regulations, certifications, licenses and standards required of its products and services. Two core reasons. Relationships and its Dynamism. I enjoy working with people across all strata and building relationships. Procurement requires excellent relationship building with everyone from suppliers to sales, marketing and maintenance, facilities to finance & risk to PR to be able to deliver efficiently. Also, saving money is a major aspect required of the job and thus, the ability to avoid cost, reduce it, and help my company achieve profitability is a major propelling factor. What is your favorite quote, which applies to work? “What you do is what matters, not what you think, or say, or plan” ~ Jason Fried - REWORK. The culture at TA is startup driven - one required for technology firms to continuously reinvent themselves. From having an inspirational leader who wears pyjamas to colleagues who deliver great work & take on tasks without being in a traditional office environment, TA isn't a regular place to work. Passion, values and an amazing work ethic drive its people and despite the challenging issues faced daily, the burning passion and extreme interest to get things done set us apart from the competition. When you aren’t working, what do you love doing? When I'm not working, I'm volunteering to end widespread hunger and food waste with @FoodCliqueSupport. I see this as my life's mission. Do you remember your first day at TechAdvance? What were your observations? My first day at work remains a memorable one. We had begun to spread further into the Northern part of Nigeria & we welcomed our colleagues from that region to a meeting. For me, it was game on from day one so, the week was mostly filled with introductions, learning the ropes, setting expectations and demonstrating the value I was called upon for. What is your favourite memory here at TechAdvance? Birthdays remain a favourite time for me at TA. We get to find time to celebrate with our colleague, putting work and perhaps any grievances aside. People tend to say I am a master negotiator. I guess this has to be it! 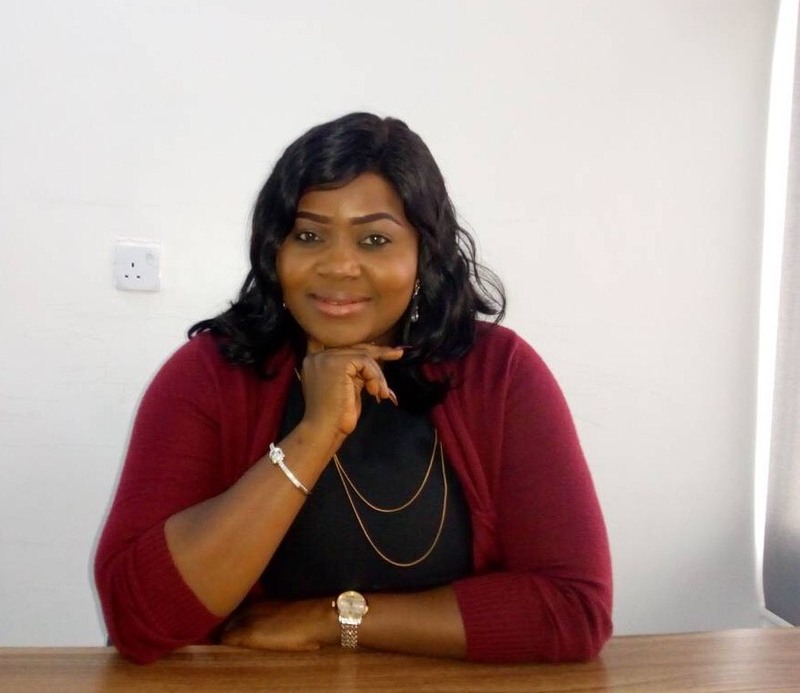 Meet Ada, our Lead, Sales / Business Development for Bus.com.ng - the largest online bus ticket sales provider and software service provider for bus operators powered by TechAdvance. We chat with her to find out a bit more about what she does and what keeps her excited about working here. I love the fact that we are able to use Technology to solve a major problem with Nigeria’s road transportation sector. My only way of discovering the limit of the possible is to go beyond them into the impossible. I haven't known TechAdvance to have a culture, but it will be nice to see that happen in no time. Working with TechAdvance has been a great experience as well as seeing the company grow to what it is today if I recall - when I joined TechAdvance, we were just a team of four on the Business Development Team and didn't have an office. So, we had to work from different remote areas. Begin able to participate in one of the largest Technology events #Techpointbuild to showcase what our value and product are in TechAdvance. I am great at going after whatever I want and achieving them. I am Team Lead, Integrations at TechAdvance. What does the Integrations team do? We glue software. Basically, we build web services and make systems talk to themselves. For instance, when you click a button on your phone to complete a transaction, a chain of successive API calls (from system to system) typically occur before the final response returns you. APIs are a way to make disparate software systems interoperable. The sense of fulfilment I get from it, having chosen this path mainly for the passion. The opportunity -- and I do see it as an "opportunity" -- to be creative; to build something that forms an important part of the daily lives of millions of people. You know, that gratification that comes from knowing that everyday you wake up to go to work, your contributions are significant. I love every line from the Zen of Python, which is a collection of mantras, so to speak, but I'll quote the 12th line, which reads, "In the face of ambiguity, resist the temptation to guess." On one hand, as a tech company (and rather expectedly), TechAdvance is a space where technology disruption is a daily affair. On the other hand, I see a company trying to disrupt work culture -- in a good way. I work! Ha ha! More seriously, I have a wide array of interests, so I try to indulge in one of these other activities that pick my fancy, including listening to podcasts, browsing Quora (or contributing), and reading, just to name a few. On the side, I am also an exco member of the Python Nigeria community. So, community duties. Do you remember your first week at work here? Please give a brief description of your observations. Not vividly, but I do recall some of it. I had come in from a teaching role at my previous place, where I taught programming. You know, teaching, and actually sitting down to get your hands dirty, are not exactly the same; so I had to go through something of a paradigm shift. My first week happened in a bit of a rush. My job role required me to hit the ground running, so I had to learn so much about the operations of the company pretty quickly. I had a lot of email corresponding to do -- you can tell what that would be like for a programmer. And I had sit through meetings. I was lucky enough to have the support and mentoring of my team lead at the time, as he did well to show me the ropes. Overall, it was quite a pretty heightened experience. Do you have any ‘special powers’? Uhm... this one is a bit difficult. I don't see myself as having any kind of superpower. Perhaps, I could say it's my high threshold for staying through anything I "decide" to do. Also, it could be my ability to context switch rather effortlessly. Still, I wouldn't say I'm the best at any of the aforementioned or tag them as "superpowers". 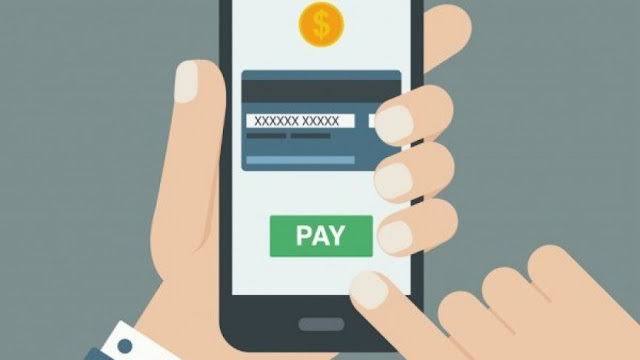 Security and Fraud in the age of Payment Apps - How Much Safer is it now? Payment card security and fraud is a very interesting topic because there will always be conceptions between the believers and non-believers. The believers can be classifieds as millennials and those that have chosen to believe in the online world making the bold step of getting either a debit or credit card from their bank, activating that card for online transactions and successfully completing an online based transaction using their payment card. Not all millennials are believers because it all comes down to a few questions- Do you trust the platform? Are you willing to test it out and stick to it? Have you had any security issues in the past and decided never to make online purchases? Non-believers-some of them are our parents and even grandparents. We try to make them see the benefits of cashless payment, online payments, payment cards, payment apps and mobile payments but surely, some are adamant and never yield while the rest may agree with you but never use the platform. Let’s focus on the non-believers for now. Why don’t they want to use payment cards, mobile payments, online payments and all those other good stuff? Perhaps, it’s their background or they are simply afraid of the entire process. They are mostly afraid of losing their money perhaps, to a shady online transaction or an entire bank account hack through your debit or credit card. By clicking on a suspicious link on the Internet that pops up out of nowhere. By installing shady software that you don’t know the manufacturer. Sharing your card details over the phone, email or even on social media. By using an unknown payment gateway. By using your card on fake websites without the proper SSL security card protection. Most of the ways you get hacked or your card get hacked is if you are careless yourself. If you stay relatively conscious of your card and how important it is, you won’t have any bad experiences. Payment cards are your regular ATM cards used to make payment using payment apps - these payment apps fall under mobile payments. 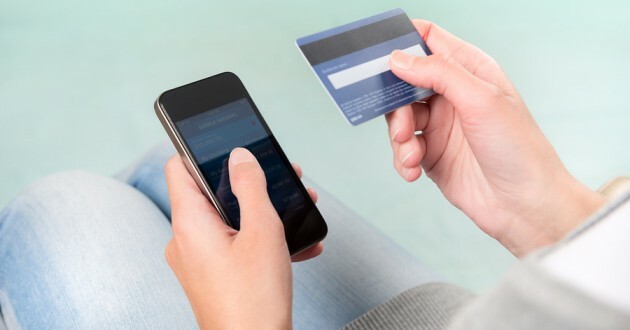 Payment cards are linked to payment apps, which are installed on your smartphone and allows you to have a digital wallet containing multiple cards to be used for online payments. Additionally, mobile payments are safer because it's more difficult for hackers to get access to your credit card details in a data breach. That's because your actual financial information isn't transferred during the transaction. Instead, a coded version of your credit card details is used to authorize payment. Payment apps are used for paying for goods or services from your smartphone and this brings us to mobile payments. Mobile payment is big and it’s more like a system where you can do a lot of things using your smartphone. Everyday transactions like buying recharge cards to make calls, subscribing to your favourite Internet data plan and so on. Sending money to family, friends or maybe even co-workers. Bill payments like electricity, water bills. Making payments on online stores as well as physical stores. Point of Sale (POS) payments in local stores, restaurants, bars etc. So, mobile payments make all these possible for anyone to do as long you have an ATM card. 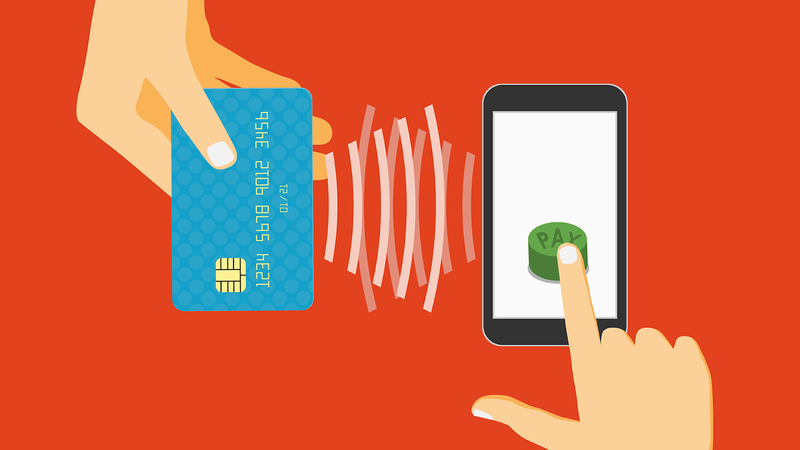 Now, Why do you need Payment Apps? Payment apps bring all the payment systems into one platform, which is an app, and with this app installed on your smartphone, you can make mobile payments easily and securely. The most popular payment apps in Nigeria are owned by banks-while there are other owned by private companies, they are not as widely used as bank-owned payment applications. We are heading towards game-changing technologies as the future is centred around digitalization, which will have a tremendous effect on both security and transparency. People are getting more comfortable with managing their money and business online. Most people have mobile banking apps while others have at least one app that does payments. From taxes to finance, you can get whatever you want anytime you want thanks to mobile and cloud computing. Blockchain technology is an incorruptible digital ledger where users store valuables documents, investments, financial transactions etc. for total safety. 100% security: Blockchain can never be hacked. To hack blockchain, you would need to have the electric power equivalent to about 2.26 million American homes because you won’t be hacking one but thousands of linked networks. Transparency: Blockchain allows banks to create digital ledgers that record transactions in real time with accessibility to everyone within the community boosting the overall efficiency of transactions because banks can now easily know where money is coming from and where it’s going. Improved Customer Experience: The entire process is transparent and visible to everyone including stakeholders/customers. Blockchain cuts costs all around: When it comes to P2P, blockchain cuts out costs of the standard marketplace by 95 per cent. There are no chargebacks and refunds, no postal and shipping losses, no subscription charges, seller fees, referral fees etc. Artificial intelligence (AI) refers to computerized algorithms that replicate the processes of human cognition. Machine learning (ML) gathers all that information and kicks off predictions. Chatbots are computer programs or an artificial intelligence which conducts a conversation via auditory or textual methods. 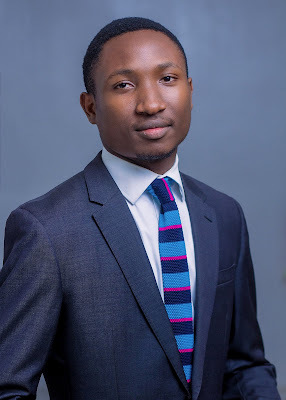 The United Bank for Africa (UBA) recently launched UBA Leo, an AI-powered Facebook Messenger bot, to allow users to perform banking transactions. Diamond Bank launched ADA, Artificially Intelligent (AI) Chatbot, leveraging pioneering technology to reach more customers with an enhanced service in Nigeria. GTBank is giving customers access to customer service, airtime purchase and Bank 737 shortcodes using Facebook Messenger. Kiakia is using Mr. K, a virtual assistant, to give an interactive user experience in accessing loans. Mr. K also assists users in resolving a couple of issues on the platform — taking away the need of putting a call through for every complaint. NairaBot gives the prevailing foreign exchange rates at any given time. You just add a command and it responds according to your request in seconds. With Kudi, you can purchase mobile airtime, transfer money and pay for TV bills via chat using Messenger, Skype, Telegram or a web browser. NebulaPay allows you to pay bills and transfer funds from the Facebook messenger. To execute Analytics/ A/B testing. 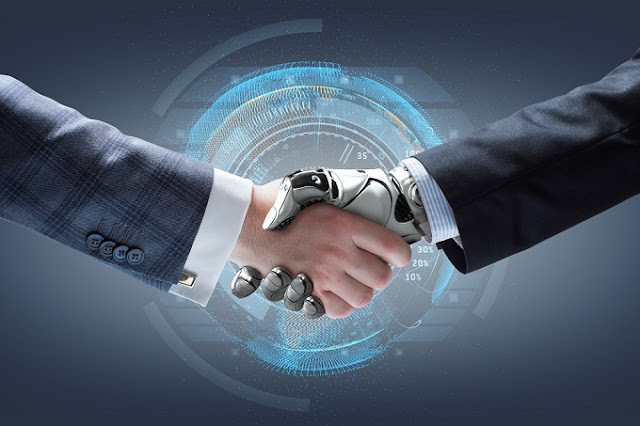 The lines between AI and ML will blur, with companies combining both to offer predictive advice to clients on how they should, for instance, manage their finances. Sending and receiving money has become easier than ever. All you need is a smartphone, and individuals can receive their funds anywhere in the world instantly with mobile banking apps, Payment platforms apps. More recently, Facebook paired with PayPal to help people outside the U.S. send and receive small amounts of money. We would inevitably see both bank and fintech companies working together. 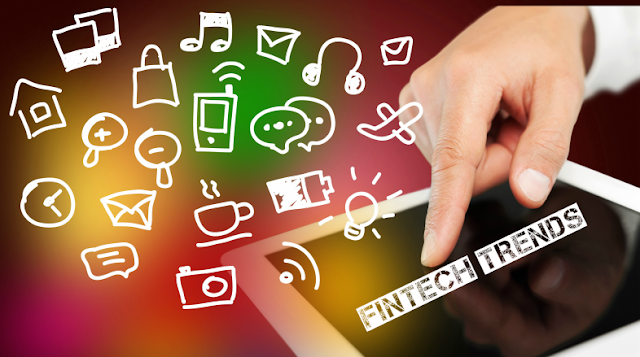 Banks do not look at fintech companies as disruptors anymore. Today, they are more like partners that pair up to take on the challenges of a new digital. This integration combines the strengths of both – the administration of fintech with the strength and reach of traditional banking. Every bank in Nigeria has a digital wallet for their customers who have granted consumers with a quick, easy and portable way to shop and spend. In the near future, we will likely see the development of digital wallets that will also make an impact on the international payments scene, allowing consumers to buy, use and reconvert foreign currency. More blockchain wallets apps will be created allowing consumers to instantly transfer and exchange cryptocurrencies while remaining incognito. Game-changing digitalization technologies being introduced means the reduction in paper, cash and for the future, the less paper the better. More people are most likely going to sign up for digitalization and finally go cashless because they can finally see the benefits of going cashless. Going cashless is certainly the hype now and with blockchain technology, you can fully go cashless or paperless with no fear. You can hardly do much productively without the use of transportation, it is so essential, it is now fully integrated into our day-to-day lives. It dates back to transportation by foot, which has now evolved to automated cars - Self-driving cars & driverless cars like Tesla, on-demand ride services like Uber & Taxify. Transportation is no longer limited to goods and people, it now plays a very important role and is used for making positive contributions to a country’s economy which leads to national growth and prosperity. The road is by far the most used mode of transportation in Nigeria as most workers take road transport to work every day, the significant number of people travelling every day by roads, day-to-day outings, meetings and meetups is mostly done via road transportation using vehicles. 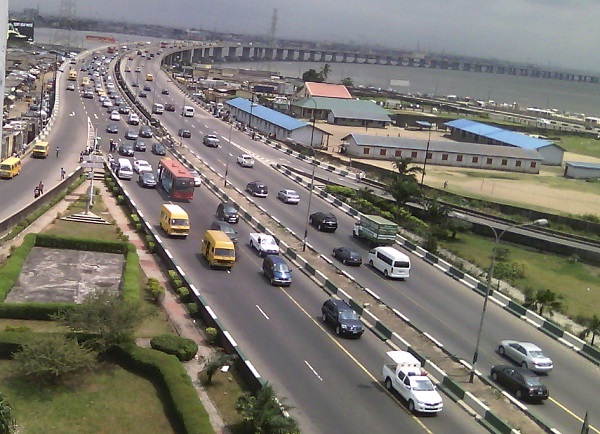 Source: The National Bureau of Statistics revealed that as at the third quarter of 2017, Nigeria had about 11,547,236 motor vehicles in the country. About 4,656,725 of these vehicles are privately owned while, 6,749,461 vehicles are registered as commercial vehicles. Another 135,216 vehicles are registered as government-owned vehicles while 5,834 vehicles are registered for diplomats. Most people have become comfortable with air transportation mainly because it’s faster and in most cases, can reach where road transportation can’t. For example; International flights. If international travel can be done via road, I’m sure some people would opt for road travel instead of air. The train transportation in Nigeria is operated by the Nigerian Railway Corporation (NRC) and trains are used to convey heavy goods and people. It usually operates in long distance travels. Technology has influenced the Nigerian transportation system making it a better system because it expands transportation feasibilities while also improving on them. Each mode of transportation has evolved in its own way. Road transportation began with riding bicycles, fast forward a few decades, we have vehicles (automobiles), which can be personally owned by individuals and used for movement within a specific region after the proper licensing has been approved. Now, on-demand ride services like Uber and Taxify have brought the feeling of owning your personal car into reality without having to spend money to buy one, you can simply order for a car ride and the car comes to you. Everything is done for your convenience. Still, on the evolution of road transportation system in Nigeria, the process of travelling via buses or luxurious buses was done manually meaning if you want to travel by road, you would have to go to the parks, bus terminals days before the day you want to travel to book your space and pay your bus fee but all that has changed now. With Bus.com.ng, you can easily book your bus ticket from your home, office or anywhere you find yourself without visiting any bus terminal or parks. You just book bus tickets online and proceed to travel the next day! Over the last 10 years, air transportation has changed a lot with more incoming and outgoing international flights. There were a time aeroplanes were so small, passengers didn’t have freedom of movement and during long flights, it became very uncomfortable for passengers. Now, different airline companies are providing luxurious ways to make passengers feel more relaxed, satisfied and get them a feeling of home right inside the plane. Some airlines provide bed-like seats, cabins/suites that remind you of your home and shopping stores to keep you engaged while travelling long distances. This is the most basic use of transportation which is the movement of goods or people from one location to another. This can be either by travelling or trucking/haulage. Using different modes of transportation, you can travel long, short distances at incredibly fast or slow speed. Trucking/Haulage is something we see every day in Nigeria, with big trucks transporting goods or tankers moving fuel to petrol stations. Modern day businesses knowns as start-ups can use transportation to solve their logistics needs by performing local deliveries to their customers and offering a pay on delivery mode of payment. Transportation has also made the transportation of products developed by business over a long distance usually to international markets for commercial purposes. This ties directly to every country’s exportation and importation scheme because without transportation money won’t be realized from a country’s natural resources. Transportation is used for everyday movements like going to work, outings, business meetings etc. You can’t go anywhere without transportation either it’s by road, air, rail or water. You will still need a form of transportation to get to your destination. A disco is an electricity distribution company which has acquired the necessary licenses involved to distribute power in a given state or region. We currently have 11 electricity distribution company (Discos) in Nigeria regulated by The Nigerian Electricity Regulatory Commission (NERC). What Government Body is in charge of Disco Safety? The Nigerian Electricity Management Service Agency (NEMSA) is responsible for the safety of lives and property in the Nigerian electric supply industry. NEMSA oversees the various DISCOS activities such as their physical electrical structures, buildings and the premises surrounding their power station or electricity poles. Their main goal is to reduce the loss of lives and prevent accidents and bad electricity structures which could lead to the loss of lives and properties. 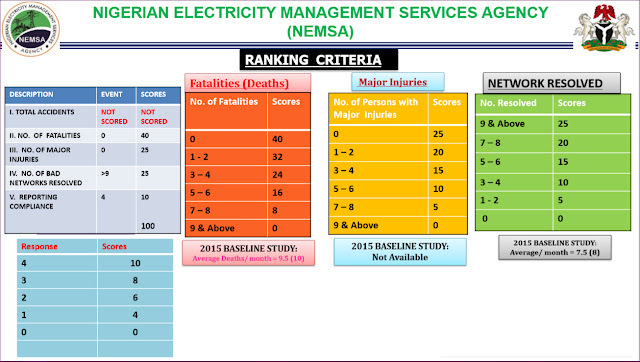 The Nigerian Electricity Management Service Agency (NEMSA) stated on their website, the factors used for ranking the safest discos in Nigeria. The number of deaths within the network is a combination of the deaths from the staffs of the network and 3rd party involved. These are the number of persons that sustained serious to minor injuries. These are the number of bad network issues and challenges a network resolves. 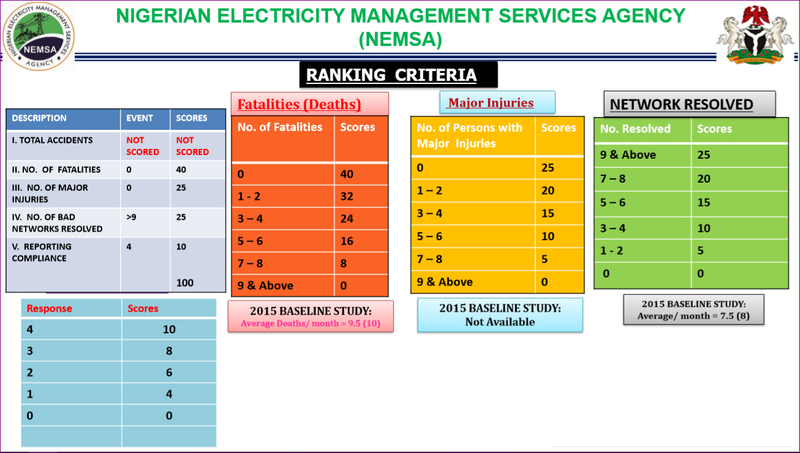 The Nigerian Electricity Management Service Agency (NEMSA) announced that EEDC is at the top of their safety ranking list for 2017. Coverage Areas: Abia, Anambra, Enugu, Ebonyi and IMO state. Address: No. 1 Okpara Avenue, Enugu, Enugu State. NEMSA ranked Ikeja Electricity Distribution PLC (IKEDC) has the second safest disco in Nigeria in 2017. Address: Secretariat Road, Alausa-Ikeja, Lagos State. third safest disco in Nigeria in 2017. Address: No. 24/25 Marina Street, Lagos Island, Lagos State. Inadequate knowledge and ignorance on the part of the operators, customers and the general public. Equipment can fail for a couple of reasons but the most common in Nigeria is the purchase of fake equipment that appears cheaper with a guise of being able to perform at per with the original version. This results in a high percentage of fake equipment which can stop working at any time or won’t reach its expiry date. Some of these equipment includes system protection tools similar to the surge extension box we all use and love. System protection equipment protects the overall electricity system from high or low electrical currents or acts as a stabilizing mechanism. Protection devices to be worn by the electrical operates are often non-existent or not good enough for the job and when something bad happens the protection device can’t help or protect the individual. This is a common issue in Nigeria, regular maintenance fees are budgeted for but are not executed. Instead of monthly maintenance, it’s done maybe in 6 months and it’s not regular because of the high-level corruption in the country. Right-Of-Way can be defined as the legal right to pass through ground or property not belonging to you and this can be an issue because when you set up and electrical pole beside a residential apartment because you have “right-of-way” it can lead to loss of lives. This is another common problem in Nigeria. 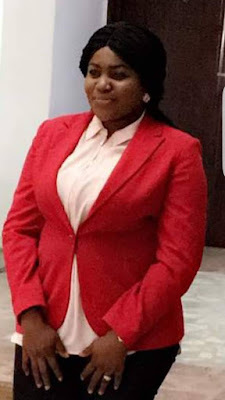 The lack of quick/rapid response and the high levels of corruptions would always influence individuals in power to purchase substandard materials which are aimed at increasing their profit margins or embezzlement. Non-adherence to simple safety rules can lead to the instant death of an individual because we are talking about millions of electricity voltage which can be very harmful to humans if we don’t follow the safety rules and regulations. This is a widespread issue and it has deep roots in Nigeria because we see people getting employed for jobs they know nothing about and when push comes to shove, in a life or death situation the individual doesn’t know what to do because he lacks the knowledge or he/she is totally ignorant of the situation. 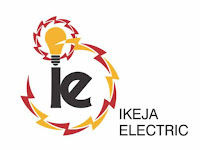 The destruction or damage of electrical equipment by hoodlums in the society is something that happens on a daily basis with some individuals refusing to pay their electricity bills and still refusing the consequence of not paying bills so they clash with electrical operators leading to vandalized poles and electrical equipments.